Back in the old Star Trek days, Nimoy and Shatner had quite the competition with each other. Apparently they fought like jealous little girls over scenes and even lines as they wrestled for perceived dominance of the show. Well, 40 give-or-take years later and it's clear to us: Nimoy has won that competition hands down. Sure they've both done music albums and had less-than-inspiring TV show appearances. 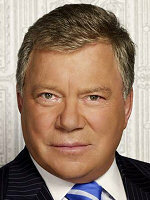 And Shatner has found new life in "Boston Legal". 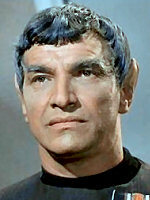 But, in every other category Nimoy has Shatner beat. 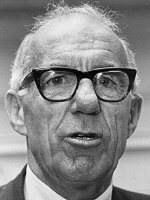 He directed the better Trek film (the enjoyable 4 trumping the execrable 5). 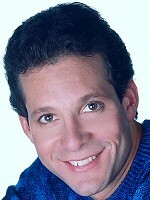 He has the better post-Trek resume (he directed the '80s hit "Three Men and a Baby" starring fellow JONJ alum Steve Guttenberg) and also done a bunch of solid voice work. He's written a few books that might actually be considered readable. 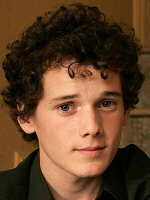 Most importantly, he's managed to keep a little dignity, perhaps the only member of the original cast to do so. And unlike Shatner, he's really outwardly Jewish, even basing the famous "Live long and prosper" salute on the ritual Jewish hand sign used when blessing the congregation. 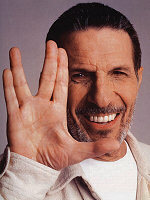 So we're proud to welcome Mr. Nimoy aboard. After all, a future where even the aliens are Jewish is a future we look forward to living in.